It can be extremely difficult to find time to manage all the daily communications required to be a successful real estate agent. 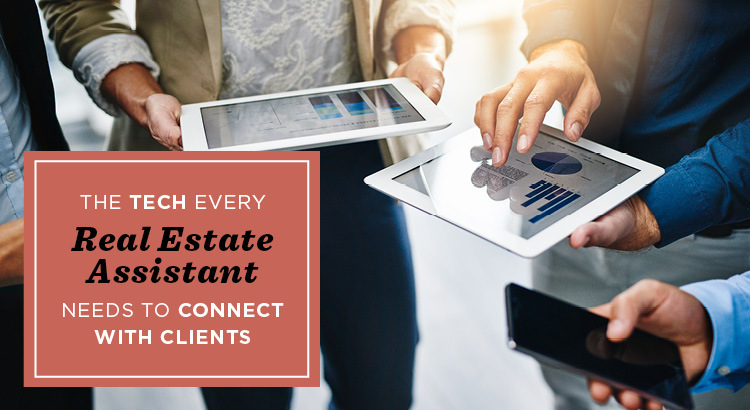 Technology has opened up new avenues of communication, and a good assistant can step in and help you stay connected with your clients in many ways. Text messaging is growing in popularity among both salespeople and clients. According to an Ellie Mae survey of both consumers and sales professionals, 76 percent of respondents say they are confident in a text message’s potential to improve the buying experience by speeding up key processes. They also reported being just as comfortable texting with businesses they have a relationship with as they are with colleagues. Meanwhile, 63 percent of all homebuyers surveyed in the National Association of Realtors’ 2018 Home Buyer and Seller Generational Trends report said it is important that agents send property information and communicate through text message. Unsurprisingly, younger generations are more likely to prefer this method: Sixty-nine percent of those ages 37 or younger consider it important, compared with 61 percent of those ages 38 to 51. But many agents simply don’t have the time to dedicate to using these technologies to grow their business. Nor do they have the time to properly train an assistant. That’s why AgentEDU has released a new Assistants track, with courses specifically designed to train an assistant in the technologies needed to support a successful agent. “How to Use Technology to Support Agent Success,” “A Real Estate Assistant’s Role in Social Media” and “Technology for Real Estate” are 10-minute videos designed to train an assistant on how to stay engaged with clients and contacts, organize tasks, manage your digital presence and more. Don’t let another client slip through the cracks. AgentEDU’s new Assistants track will train your assistant in the skills needed to support your business on a daily basis. Click here to explore the entire Assistants track at AgentEDU.